Mariah West is the Director of Global Partner Marketing at Zerto, where she is responsible for driving global partner programs for both Zerto's Channel and Service Provider Ecosystems. Her team delivers innovative programs, training and go-to-market resources to grow Zerto's channel business and empower partners in an increasingly competitive marketplace. During her tenure at Zerto, she has been recognized in CRN's Women of the Channel and its Power 100 lists for 2014, 2015 and 2017. 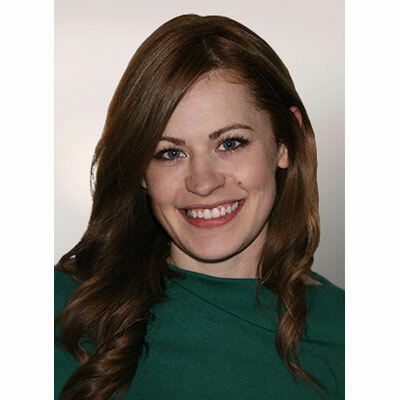 Mariah has more than eight years of direct experience in channel, content and web marketing for high-tech organizations, providing creative sales campaigns and innovative marketing services for emerging technologies and their providers. At Zerto, 2017 was a year where we introduced a whole suite of new enablement tools aimed at assisting the partner in key stages of the buyer's journey. From initial demand generation, through mid-funnel activities like product validation, all the way through providing a comprehensive business case for customers to move forward with a purchase. Our teams not only introduced some impactful programs that have been proven to grow our partners' deal sizes, but also pivoted to helping train them on how to get the most out of the new offerings. In addition, we grew our internal learning and enablement team to help support the needs of our partners to get trained and certified on the Zerto product. This newly formed team up-leveled our existing certifications in 2017 and focused on maturing our learning topic roadmap to fit the needs of our partner sellers and technical resources as their businesses evolve. As the market continues to converge, our Cloud Service Providers and System Integrators are starting to work together along with our Alliance Partners such as to solve the short-term and long-term needs of end customers. Zerto is on the forefront of driving this change with our partners and we're engaging on a deeper level, and providing more resources, for the partners who are embracing cloud agility. Zerto still has a large ecosystem of more traditional partners who need support. We're going to continue to build up our self-service offerings to enable partners who are up and coming to be successful. Eleanor Roosevelt always spoke her mind. I try to live by her statement, "Do what you feel in your heart to be right for you'll be criticized anyway." Speak up, it's ok to stand out, and don't worry about growing up so fast. I'm a little behind on the amazing things happening in the digital marketing industry. If I had all the time I could to build a new skill I'd get my hands dirty in getting up to speed on all the newest techniques for web conversion optimization.